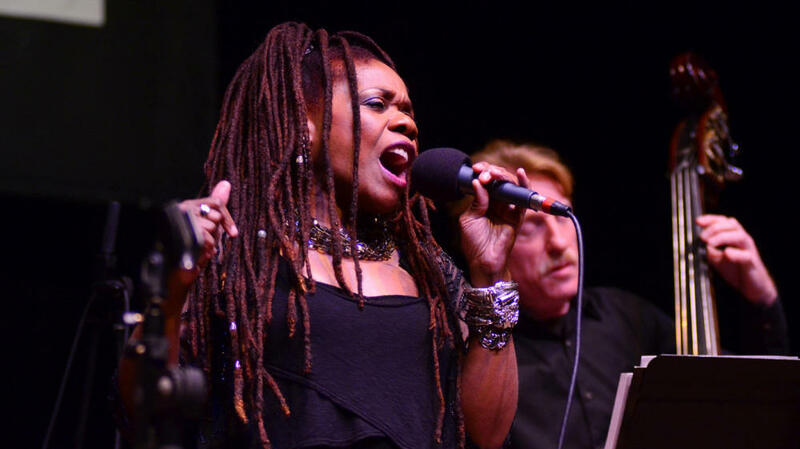 Catherine Russell makes her third appearance on Mountain Stage, recorded live in Charleston, W.V. Russell is, simply put, one of the best contemporary jazz and blues vocalists working today. Endowed with a voice that doesn't limit her to any one genre, she's also worked as a backup singer for everyone to Madonna and David Bowie to Paul Simon and Dolly Parton. She comes by her talents naturally: Her father, the late Luis Russell, was a pioneering pianist and composer who served as Louis Armstrong's musical director from 1935 to 1943. In February, she was featured for the entire hour on NPR's Fresh Air, as part of its In-Studio Concert series, alongside her guitarist and bandleader, Matt Munisteri. For her Mountain Stage performance, Russell performs with her full band, which includes Mark Shane on piano and Lee Hudson on upright bass. Russell is followed by Mountain Stage pianist Bob Thompson, with his original take on the Lennon-McCartney classic "Fool on the Hill." This performance was originally published April 3, 2012.